Corie created a fun way to Countdown to valentines day or just give someone in your life a special seven days of love. 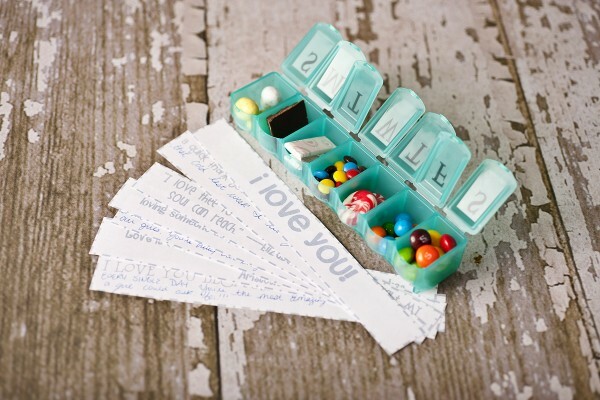 This pill box full of treats would even be a cute valentine to give your loved one. You could probably even find a pill box in pink to make it more festive. And you can use the free printables from The Dating Divas. I also like this idea as a fun way to set aside a little treat for your kids if they remember to do their chores. I might try it for practicing the piano! You can check out all the fun behind the seven days of love and get the printables over at The Dating Divas.